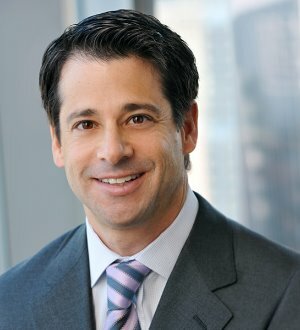 David Rievman, Global Head of Skadden’s Regulatory Practices, advises U.S. and non-U.S. clients with respect to the tax aspects of complex transactions, including U.S. and cross-border mergers and acquisitions, financings, divestitures (including spin-offs), financial restructurings and recapitalizations, joint ventures, and other business transactions. He represents public corporations, privately held businesses, investment banks, and private equity and other sponsor entities. Vulcan, Inc. in connection with the spin-off and $1 billion IPO of DreamWorks Animation SKG, Inc.
Mr. Rievman has served on the executive committee of the New York State Bar Association Tax Section and frequently writes and lectures on tax-related topics, including in programs sponsored by the New York State Bar Association, the American Bar Association, the New York University Institute on Federal Taxation, the University of Chicago Law School’s Federal Tax Conference, the Practising Law Institute, the Tax Executives Institute and other organizations. Mr. Rievman repeatedly has been selected for inclusion in Chambers USA: America’s Leading Lawyers for Business. He also was listed in The Best Lawyers in America 2013.